Developing your musical talents is so much better when you can learn to play or sing your favorite song. However, in many cases there simply isn't sheet music for the song you want to learn. If there is sheet music for that song, it's usually way too difficult for you, or it's too easy and boring. To resolve this dilemma and to help you grow to love music even more, I offer custom arrangements of any song to fit your skill level. You tell me what song you'd like to learn, what instrument you'd like to learn it on, and I'll customize it to your skill level. I've been doing this for years and can do it for nearly any instrument in addition to the ones I teach. If you would like to learn a particular song on piano, voice, flute, clarinet, trombone, or any other instrument, just let me know! I can arrange solos as well as duets, trios, group arrangements, and accompaniment. I love opportunities to arrange music so that you have an even more enjoyable learning experience. 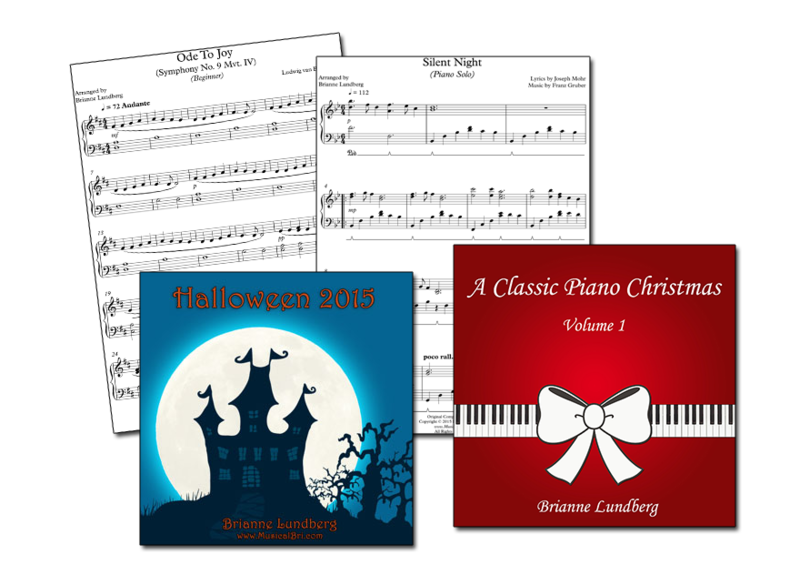 Some of the custom arrangements I've made include Christmas carols, classical music, Charlie Brown, Harry Potter, Star Wars, Disney, Taylor Swift, religious music, and more. Prices vary per song, skill level, and complexity.